And it can often do so at a lower cost and with less time required for installation, maintenance and upgrades. For many organizations seeking an AV upgrade or installation, however, both “traditional” AV and AV over IP are equally mysterious. Here, we de-mystify AV over IP systems by breaking down their major components and show how AV over IP can lead to more flexibility and savings. In the analog and early digital AV years, every device — from television screens to cable boxes to record players — was a kingdom unto itself. To get these devices to coordinate with one another, every one of them had to be connected to a matrix switch. As Orrin Charm explains, a matrix switch or matrix switcher decodes an audio or visual signal from one device connected to the matrix, then encodes it so that it can be picked up by other devices connected to the matrix. While the box itself looks simple, its internal microprocessors run myriad complex calculations. Space. The more devices that need to talk to one another, the larger the switch has to be. Commercial switches often control inputs and outputs for up to 32 devices. Scalability. Each matrix switch has a fixed number of inputs/outputs. For instance, if you want to network 33 AV devices, you need two 32×32 switches — and you leave 31 spaces unused. Making Connections. To connect some AV devices with the switch, the device itself may need particular connections custom-welded or attached. Each device may also have its own special cable required for connection to the switch. And some of these cables come in fixed lengths, limiting the distance allowable between the matrix switch and the equipment. Heat. The processes carried out within the matrix switch generate a great deal of heat, requiring installers to pay attention to ventilation and other space considerations. 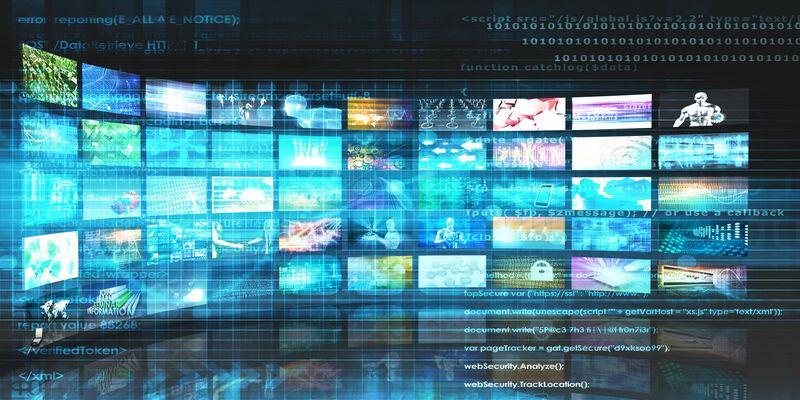 While matrix switches are still useful in some situations, integrators are increasingly embracing AV over IP for its ability to solve many of these major problems, according to Matrox. In some respects, AV over IP systems look similar to their matrix-based predecessors. A few key differences, however, allow companies seeking an upgraded AV solution to save time and money, promote scalability and increase the system’s useful life. The latest AV input/output devices have changed over time. Many of us today still remember when cassette tapes were ubiquitous or when VHS was the latest thing, for example. An AV over IP system still deals with multiple inputs and outputs. In a digital world, however, input and output devices are increasingly computerized monitors, speakers and similar equipment. They connect to an AV over IP system using Ethernet or WiFi connections, reducing or eliminating the need for special connectors to be added to the equipment. Whereas older AV systems often demanded a tangle of proprietary cabling, AV over IP systems typically use a building’s existing Ethernet. Today, most buildings’ Ethernet uses copper CAT-5 or CAT-6 cable, Jason Fitzgerald notes at Sound & Communication. Some buildings are upgrading to fiber optic cable. As the use of 4K video outputs expands, the use of fiber optic cable may do so, as well. 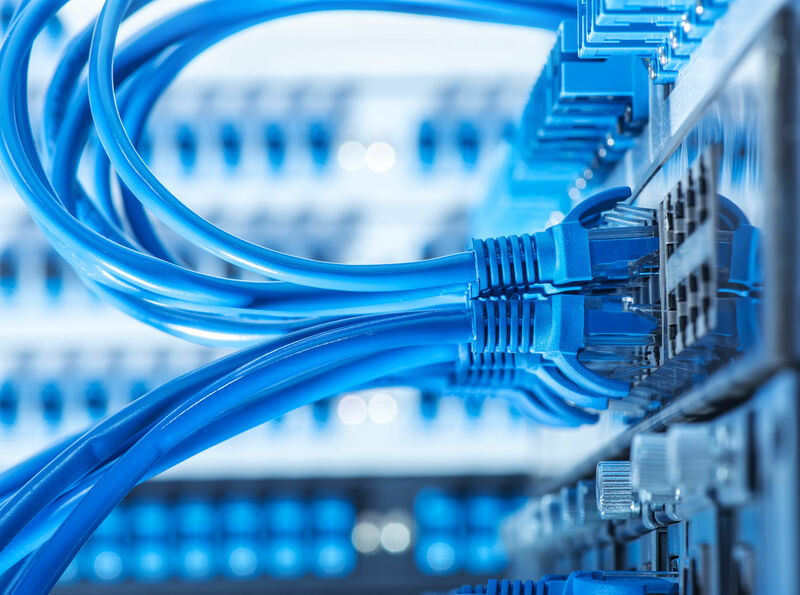 Sending AV signals over the building’s existing Ethernet reduces cost and installation time because much of the cabling required is already in place. It also changes the space restrictions of the AV system dramatically. 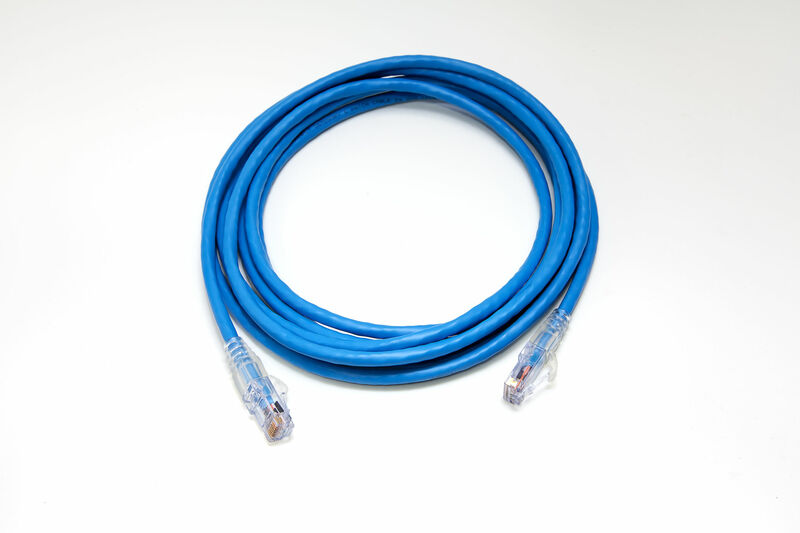 AV signals sent over CAT-5 or CAT-6 cable have a typical distance limitation of about 100 meters, according to Matrox. However, unlike older systems, use of “switch and repeat” allows audiovisual data to travel 100-meter distances repeatedly, for as long as needed. For organizations building from the ground up, fiber optic cable can further reduce this distance limitation. So can streaming capabilities, as Extron details. Older matrix switches encoded and decoded signals within the switch itself. Today, the switches in an AV over IP system are typically standard IP switches, which many organizations already have as part of their Ethernet systems. For large or video-heavy installations, specialized switches also exist, like KeyDigital’s KD-IP1080TX and KD-IP1080RX, both of which allow up to 2,048 inputs and outputs to be connected to the system. Conference and entertainment venues, as well as businesses and schools with large numbers of staff or students, will find that such hardware configurations can scale up easily to meet the organization’s needs. Using IP switches makes AV over IP systems easier to install, scale up or down, and to troubleshoot, Videon writes. They even make it easier for IT staff to address potential problems, which can reduce downtime. IP switches are designed to handle Internet traffic, Cisco writes. Unlike traditional AV matrix switches, an IP switch isn’t programmed to make AV signals accessible to other connected AV devices. So, how does the IP switch replace the matrix switch in an AV over IP system? The answer lies in the virtual world of the Internet. Encoding and decoding in an AV over IP system is the job of video and audio codecs, small pieces of software that translate signals, as Kramer AV describes. If you’ve ever tried to watch a video on your computer, only to be sent online to download the correct codec, you’ve encountered this software and understand how important it is to the AV over IP process. For large-scale builds or situations where eliminating lag is essential, such as hospital operating rooms, companies like Cisco and Matrox also make switches that contain their own encoding and decoding software. The flexibility of AV over IP has resulted in an increase of 138 percent in installations between 2016 and 2017, according to MuxLab, while installations of traditional matrix-based AV systems fell 4.3 percent. Numbers like these suggest that AV over IP can quickly become the new industry standard. As Mary Bakija at Sound & Video Contractor explains, specifications for AV over IP system components can be very specific — and very baffling to professionals whose expertise lies outside the audiovisual world. Likewise, the current competition between protocols like Cisco’s HDBaseT and Christie Digital’s SDVoE can lead to some unnecessary confusion. Generally speaking, as long as every component uses the same standardized protocols or is produced by the same company, an AV over IP system’s components should communicate seamlessly. Your integrator can explain which protocols and equipment they recommend and why. Use of AV over IP in retail has extraordinary potential, Lewis Eg notes in Retail IT. Even a simple AV over IP system makes it easy to display advertising, improve signage and provide customers with the information and overall experience they need from the moment they enter a retail establishment. Recognizing the flexibility and versatility demanded of today’s K–12 and college classrooms, companies like Extron offer AV over IP builds that take into account existing classroom infrastructure (like overhead projectors), the combination of presentation needs with individual device use and the need for energy efficiency in a system with minimal downtime. Many classroom and conference room AV over IP builds incorporate the use of centralized control units, allowing teachers and presenters to handle all the room’s AV equipment from one user-friendly interface — and allowing IT staff to quickly address and troubleshoot issues, as well. Conference rooms, workspaces, breakout rooms, huddle rooms…. These spaces, by any name, can boost productivity if they’re equipped with the right tools. Many integrators, manufacturers and distributors specialize in building conference and workspaces custom-tailored to an organization’s needs. For instance, Atlona partnered with AZUR SPACE Solar Power to tackle connectivity challenges and with Fellowship Alliance Chapel to bring an outstanding 4K experience to worship. Wish your conference rooms scheduled themselves? Crestron builds in the option with room scheduling technology that allows space usage to be controlled from a centralized calendar — and that can be connected to the AV equipment to improve energy efficiency by warming up equipment only when someone is scheduled to use it. AV over IP technology is still finding applications where the system is a clear upgrade over the previous build. If you’re curious to learn more about why the industry’s shift has been so sudden, have a look at our post How the Conversation About AV Over IP Has Changed in the Last 18 Months.